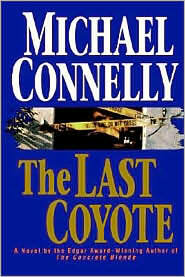 The forth Harry Bosch book from Michael Connelly. I’m going through these fairly quickly using kindle app on my phone. They are really easy to pick up at any point in the plot without needing to keep track of everything. This story opens with Harry on involuntary stress leave and having to attend regular sessions with a police psychologist. He is also rebuilding his house which has been officially condemned following an earthquake. During this suspension Harry starts looking back at the murder of his own mother many years earlier. Was this case poorly investigated covered up? Well his one man investigation opens up long term political corruption and many secrets. This entry was posted on Saturday, August 1st, 2015 at 11:42 pm and is filed under grayza. You can follow any responses to this entry through the RSS 2.0 feed. Both comments and pings are currently closed.